Ligue 1 winner Fabinho is said to have snubbed Pep Guardiola’s Manchester City and fellow league club Paris Saint-Germain for a move to Manchester United. Yahoo Sports contributor Amy Christophers has claimed that the Monaco star prefers to play under Jose Mourinho at Man United, and has rejected the advances of City and PSG. 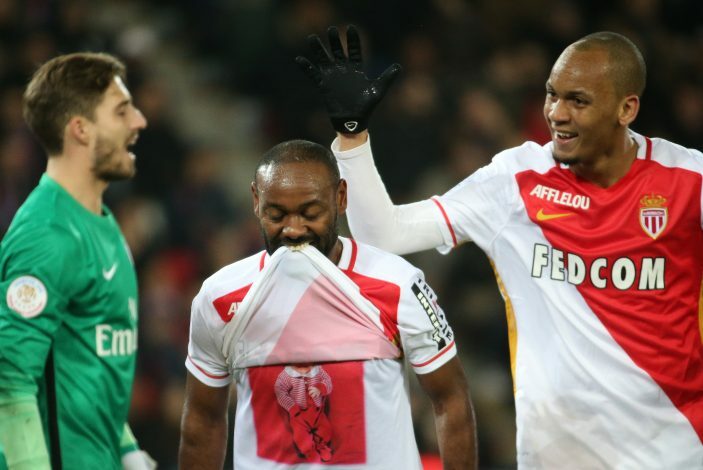 Reports claim that the Europa League champions are reportedly closing in on a £44m deal for Fabinho, who played an integral role in Monaco’s Ligue 1 triumph last term. The Brazilian was also pivotal in helping Monaco reach the semi-final of the UEFA Champions League. The 23-year-old is a versatile player, and is touted as the perfect replacement in the future for veteran midfielder Michael Carrick. Fabinho scored 12 goals in 55 appearances last term for Monaco and would be a vital addition to the United squad. He has been linked with the English giants for quite some time now, as their Portuguese boss is said to be keen to get him. However, the admiration seems to be mutual, as the Monaco midfielder was recently heard praising United, and also stating that it would be a tempting invitation if he gets the chance to join the Red Devils.